Given the circus brewing in Washington DC, how appropriate that the day before the inauguration is National Popcorn Day? I prefer my popcorn with butter and salt. Lately I have been popping it in a teaspoon of olive oil and experimenting with different toppings. Parmesan cheese was a hit with The Boy. I was partial to a pinch of sugar and garlic salt. The Mister is a butter and salt man. No matter how you like your popcorn, here are some ways to to spice up your popcorn. A plus is that these tricks will eliminate all of the added butter that turns the typically healthy snack into a not-so-healthy one. 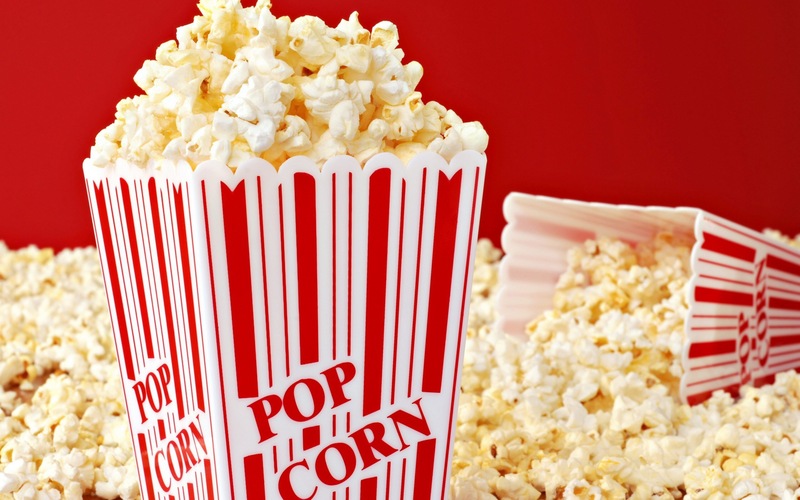 Did you know that many movie theaters use a coconut oil blend to pop their popcorn? Take a page out of their book, by turning up the heat…literally. Try using Sriracha Liquid Coconut Oil to pop your kernels, adding a layer of flavor and a little heat. Movie theaters don’t use butter at all, but rather butter-flavored oil (yuck)? This is because butter has such a high water content that it makes popcorn soggy instantly. Instead, try using clarified butter, or a healthier alternative Ghee. Top it off with a sprinkle of salt (or more for the salt-lovers) and you’ll have yourself a perfectly buttery, crunchy bowl of popcorn. How do you like your popcorn? Leave your ideas below in the comments!